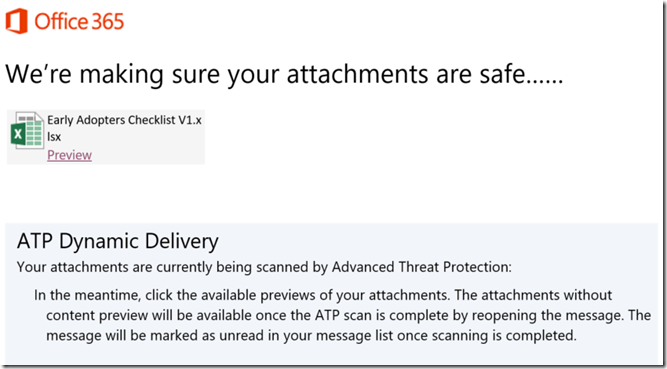 It is now possible to preview attachments that Advanced Threat Protection (ATP) is currently in the process of checking. This was enabled on my tenant recently and so will come to all tenants soon. It was mentioned at Microsoft Ignite 2017. It looks like this. 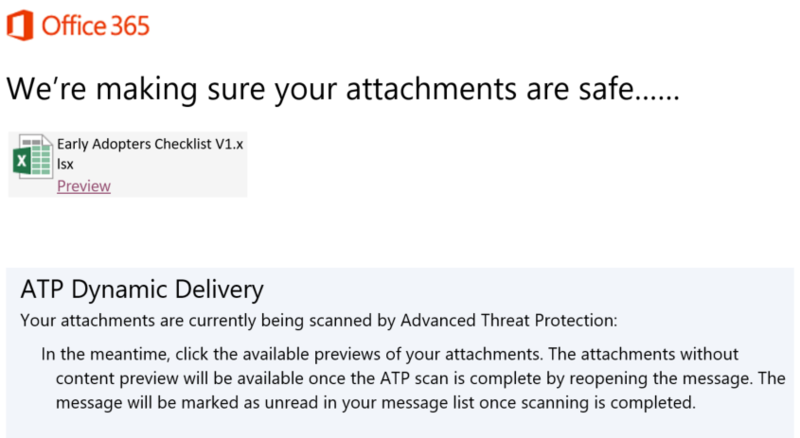 You get the email with the standard ATP attachment saying your email is being scanned. 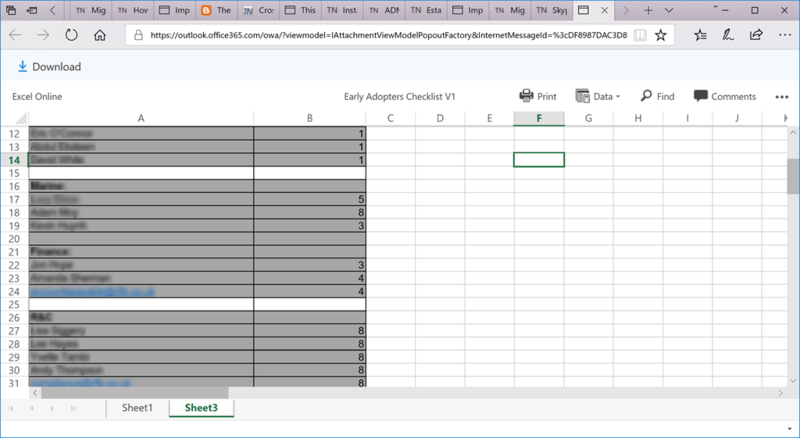 For this email you need to have Dynamic Delivery enabled for ATP, which means you need your mailbox in Office 365. 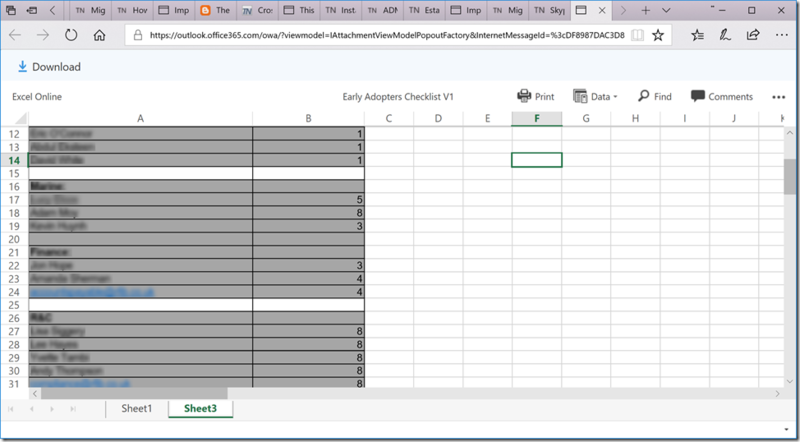 If you are on-premises or not dynamic delivery then there is no preview function as you do not know that the email is on its way to you for you to preview.